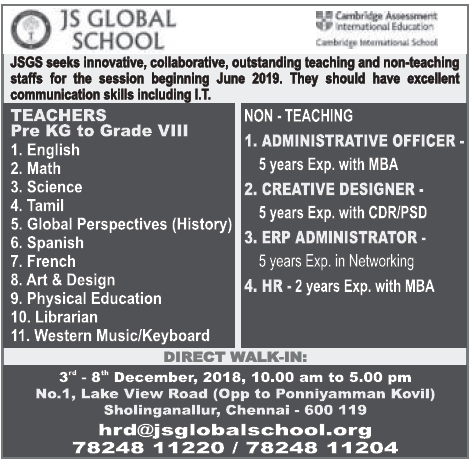 JS Global School, Chennai has advertised for recruitment of Teachers / Librarian jobs vacancies. Interested and eligible job aspirants are requested to walk-in from 03rd to 08th December 2018. Check out further more details below. About School: JS Global School offers students the opportunity to excel at their individual aptitude through hands-on learning, independent research and state-of-the-art tools.